This wipers particularly proud its superior performance in critical cleanroom environment. 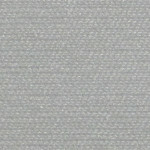 The yarn is made of 100% continuous-filament interlock structure. Excellent cleaning function, economical light weight and superior absorption power are the features of the wipers.